Terrorarium is a new puzzle-strategy game…that seems awfully familiar. 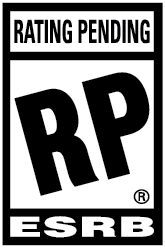 Specifically, it’s very reminiscent of the beloved Pikmin games in both its style and how it functions. Though Terrorarium’s concept feels a bit unoriginal, it offers some fun puzzles and the promise of a robust level creator that could result in countless hours of entertainment. 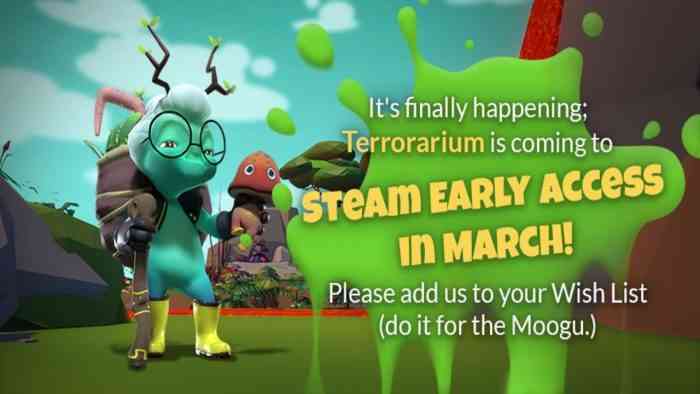 In Terrorarium, you play as an elderly woman named “the Gardener” and control her Pikmin-like creatures known as Moogu. The majority of the gameplay revolves around cultivating your Moogu, tossing them at obstacles, avoiding monsters, and using special abilities to reach the end of the levels. Once you reach the end, you need to toss at least five Moogu to break a forcefield surrounding the goal, so keeping track of how many you have left alive is crucial. At the beginning of each course, you are given a certain amount of Moogu, but it is possible to get more through breeding them. There are also various types of Moogu, each with their own unique ability. However, using these abilities expends multiple critters, so you need to be frugal with their use. In the preview build, I was able to play through 24 pre-made levels, and explore maker mode, which lets you create your own unique courses for other players to try out. The pre-made ones serve as a decent tutorial for the concepts in the game but were rather uneven in quality. Some courses were exceedingly simple and easy, taking only a few seconds to complete, whereas others were arduous and obtuse, requiring multiple tries to get right. I also experienced some frustrating bugs, such as my character getting stuck on the geometry of the levels or monsters glitching out. On top of that, Terrorarium is about to enter early access so it still feels quite unpolished. The animations and graphics are jagged, and I even encountered a few text boxes that read out the actual game code for what the text interaction was supposed to be. However, Terrorarium has some real potential and it lies in its maker mode. The maker mode promises an experience somewhat akin to Mario Maker. Players in the community can choose a basic level layout and are given access to over 100 distinct assets to build their own terror garden for other players to enjoy. These assets range from monsters to breakable walls to spikes and so on. I’m not particularly skilled at level design, so I wasn’t able to make anything truly spectacular, but I can easily see people getting wildly creative with what there is available here. Maker mode is not the most intuitive level builder I’ve seen, but it is straightforward enough to get the job done and will likely be improved upon as the game gets further in its early access run and the community is able to provide feedback. Terrorarium may borrow a lot of ideas from other games (most specifically from Nintendo titles) but it still has a lot of promise. In its current state, it looks and sounds a bit messy, but the maker mode could be a source of immense creativity and amusement once the kinks with the game are worked out. It’s a bit hard to tell this early in Terrorarium’s life cycle how successful it will be and what kind of community will be built around it, but I’m excited to see what creations will be made once it drops on Steam early access on March 20th.